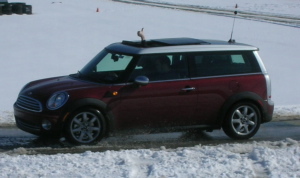 Time to drift and slalom through the snow in your MINI and have a fun (and legal) time doing it!!! We are proudly sponsoring the Winter Driving Refresher education event on February 12 at BeaveRun. The driving education event will help teach drivers how to improve their driving skills in slick conditions. The event will be held on February 12 from 8am-3pm at the BeaveRun MotorSports Complex. The event gives drivers the opportunity to learn driving in slick and extreme winter weather in a safe and controlled environment rather than on public roads. No reason to go to your local public parking lot and worry about getting caught spinning around in the snow! The cost to attend is a mere $5 for primary drivers and $5 for any co-drivers. The cost of the event includes all of the training and fun driving as well as a Subway Box Lunch. The event will include classroom instruction by instructors detailing winter driving techniques, equipment to use, and even winter survival skills. Instructors will be in driver’s vehicles giving one-on-one instruction as owners travel through the slalom, skidpad braking, and coned-autocross courses. All MINI and non-MINI vehicles are welcome to attend the event. The event will be a go no matter what conditions are present on the day, snow, rain, sleet, or a sunny and beautiful February day. The course can be tuned to imitate slick conditions so weather is not an issue. To register for the event, visit www.pittstopmini.org. MINI had a great time at the Red Bull Crashed Ice event in Saint Paul, MN. The event was the first ice cross downhill race since 2004. Even with below freezing temperatures and pre-race snowfall, an overwhelming 80,000 fans showed up to cheer on the participants in the event. Over 64 racers raced hard on one of the most difficult courses designed. The racing event is newer to the Americans but still had 19 racers compete and five of which made it to the round of 32. The next event will be held February 3,4 in Valkenburg (NED). Enjoy the highlights. 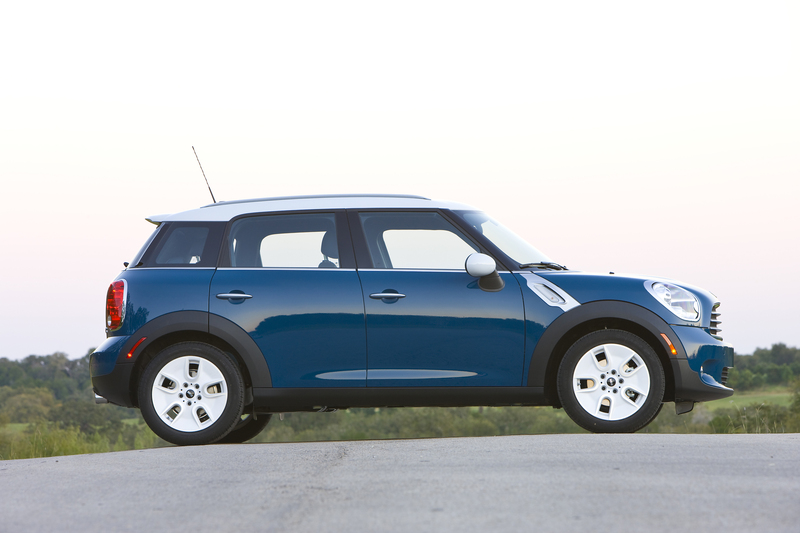 MINI had a big year in 2011 with the debut of the MINI Coupe and the MINI Countryman. 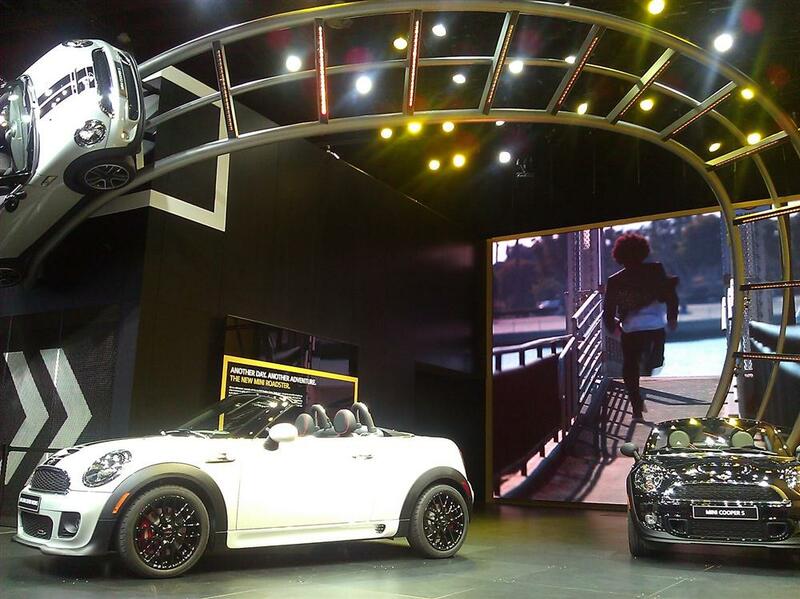 At the North American International Auto Show (NAIAS) in Detroit this week, MINI brought their latest, the MINI Roadster. The two-seat convertible is the latest MINI venture and one looking to tap into a whole new MINI experience. The Roadster still gives the MINI go-kart handling and excitement as well as being a convertible which is an added bonus. MINI likes to call it a go-kart for adults!The Roadster was at the NAIAS two years ago as a concept vehicle and made it to production in just two years! The past year for MINI USA was an amazing one with setting their all-time sales record in 2011. More than 57,000 MINIs found new homes in the USA, an increase of 26% compared to 2010. The feat is quite an amazing jump for MINI, showing the growing popularity of the vehicles. The release of the Coupe and Countryman helped pump the brand up and MINI expects the Roadster to continue to push the sales even further. MINI has arrived in India and is ready to become the leading premium small car brand in the new country. India is a major new market that many manufacturers are getting into and MINI sees itself as the perfect fit for the driver lifestyle in India. Available models in India include the MINI Cooper, Cooper S, Cooper Convertible, and Cooper S Countryman. The models will come with a six-speed automatic transmission. MINIs will be available to purchase at three outlets in 2012. Dr. Andreas Schaaf, President, BMW Group India said, “Around the world, MINI has become a byword in the premium small car segment for expressive design, premium quality and unmistakable driving fun. MINI’s innovative profile has enabled the brand to win over a trend-conscious and quality-oriented target group. With the launch of MINI, the BMW Group debuts in the premium small car segment in India. Schaaf added that they will focus their energy on building the brand up in the initial phase before moving to expand the dealership network and sales volumes in the long-term.